Salvatore Gaglio graduated in electronic engineering at the University of Genoa, Genoa, Italy in 1977, and in 1978 he received the M.S.E.E. degree from the Georgia Institute of Technology, Atlanta, U.S.A. From 1986 he is the professor of computer science and artificial intelligence at the University of Palermo, Italy. From 2007 he is the scientific responsible of the Ph. D. program in Computer Engineering at the University of Palermo. 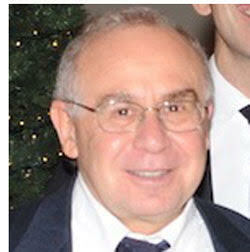 From 2005 he is the Director of the Laboratory for Intelligent Systems of ICAR-CNR at the University of Palermo. From 2016 to 2018 he has been the President of the Italian National Academy of Sciences, Humanities, and Arts of Palermo. He has been a member of various committees for projects of national interest in Italy and he is a referee of various scientific congresses and journals. His present research activities are in the area of artificial intelligence and robotics. He is a member of IEEE, ACM, and AAAI.